So where’re the oud, dude…? 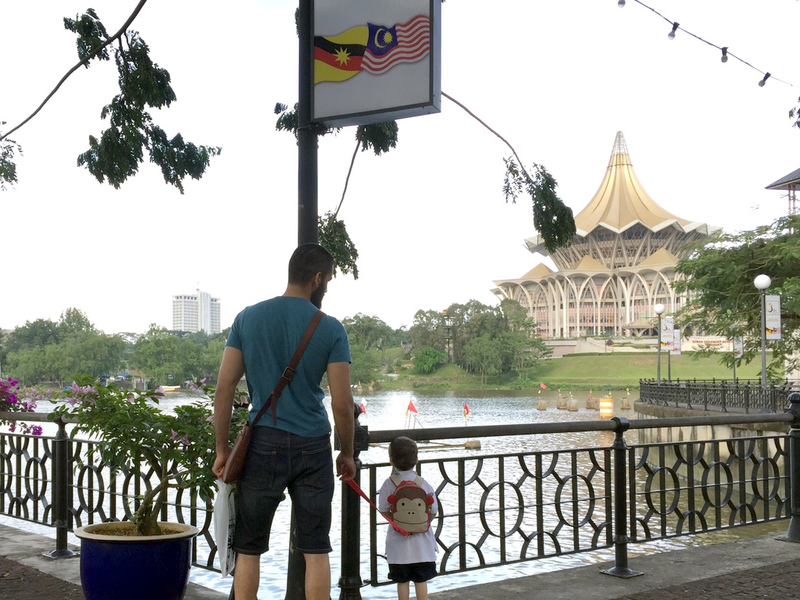 With all the chaotic running around, I decided to bring my family along to Borneo on my latest trip. 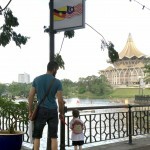 Here I am having some relaxing family time by Sarawak River in Kuching. If you’ve been following my recent blog posts from the past several months, you probably expected a whole lot of new products to be released by now. Each country that I visit seems to be melding into the other, in my mind. There are so many distillation projects running at the moment, its even hard for me to keep track (over a dozen projects, in over half a dozen countries). And like many folks who have been asking me, you may also be wondering where these new oils are. Mokokchung Oud. If you want to experience the epitome of the Indian agarwood experience, you don’t need to look any further. With the release of Shwe Myitkyina and Mokokchung Oud, we bid farewell to the last of Agar Aura’s oils that were distilled using our old distillation techniques. Shwe Myitkyina personifies the best of the classic Burmese genre, and Mokokchung Oud is the finest of our “zero barnyard Hindi” Indian oud genre. One of the main things I have been focusing on is complete makeovers of distillation setups in the various countries I have projects running in. These setups are where art and science become one. 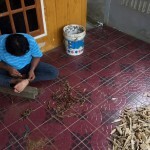 By combining the sciences of distillation and chemistry with the artistic discernment required for tweaking each setup for specific species of agarwood, the results have been astounding. The junk on the right is what typical so-called ‘high quality!!!! AAA grade!!! !’ oud oils are made from. The dark resinated pieces on the left are what Agar Aura oils are made of. Add to that the fact that I now have direct access to hunters (some of whom are now dedicated Agar Aura staff), I can assess the raw materials with the strictest scrutiny, and can get much better prices (by acquiring large quantities of wood for our wholesale agarwood business, see RoyalAgarwood.com)… in short, now I am now able to get far superior raw materials. 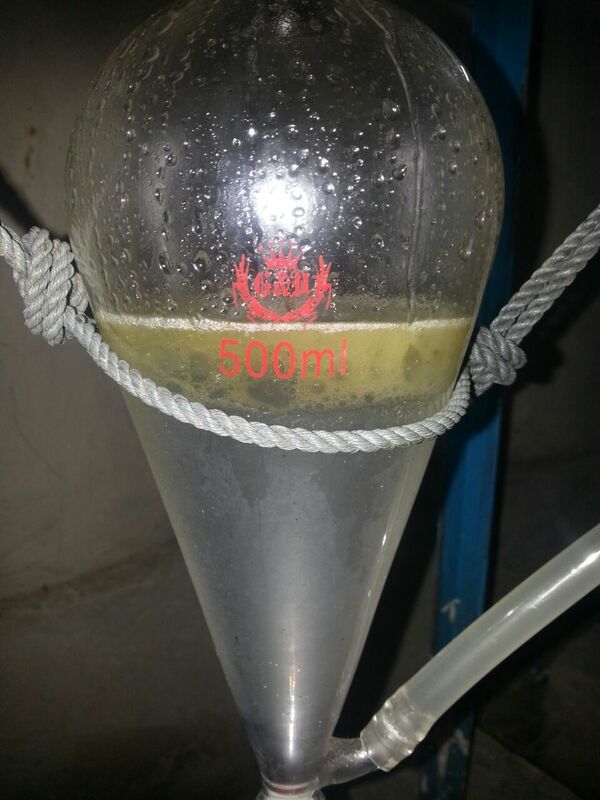 One of our upcoming Borneo oud oils, distillation in progress. 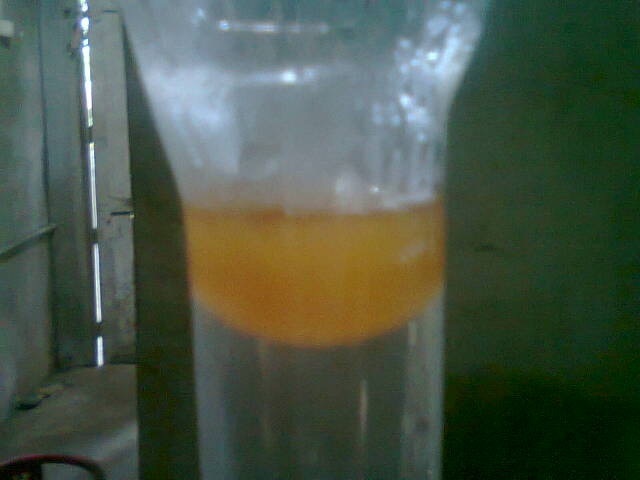 Notice the unusual shade and hue of the oil. Take for instance one of our upcoming Borneo ouds. By carefully re-designing each and every part of the distillation process, and by using superior raw materials from old growth trees, the resulting aroma is… astonishing to say the least. 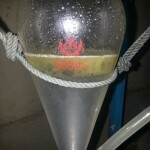 An example of high grade raw materials reserved strictly for making Agar Aura oud oils. Notice how dark and resinated the chips are. Those of you who are agarwood (i.e. wood) aficionados will be delighted to find that these new Agar Aura oils capture many of those elusive scent notes that you never find in oils. 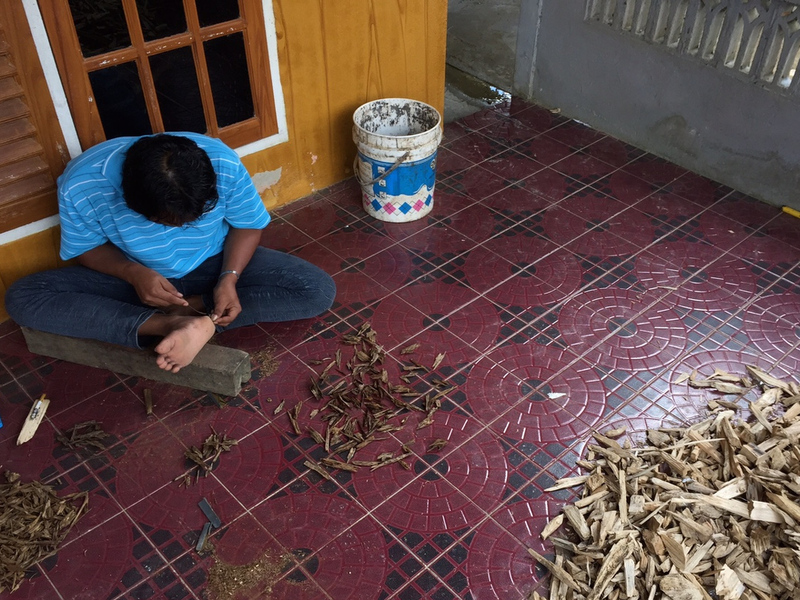 And those of you who have less experience with burning agarwood, you will find new dimensions which you never experienced before. I have some of the new Borneo oud on my forearm right now, and sniffing it, I am amazed by how accurately the aroma of agarwood vapor has been captured (not agarwood smoke, I’m talking about the aroma of the initial invisible wisps that rise from a heated agarwood chip before it starts to bubble and smoke). These new ‘scent dimensions’ are the nuances that agarwood connoisseurs go crazy over, and which others with less experience simply miss. But what’s really neat is that these nuances are further amplified and brought into razor-sharp focus in these oils. And compared to agarwood vapor, in these oils the nuances are even more beautiful and vibrant. Joy of joys! 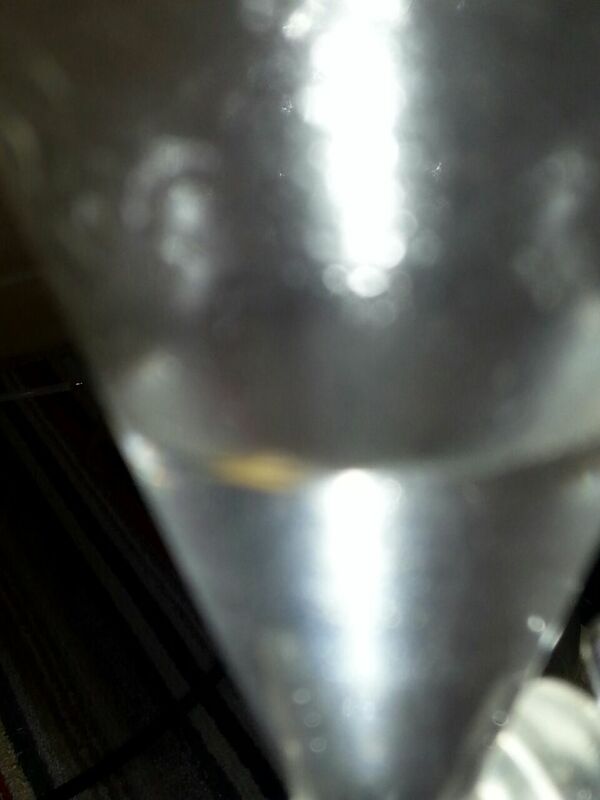 The first drops of the first artisanally extracted Sri Lankan oud in the world! Take Sri Lankan oud as another example. At the moment only the test batch is ready (we’re just waiting for the wood grinder to arrive before we start the ful-scale distillation project; as soon as it arrives I’ve got to head back to Sri Lanka). When I smelled Sri Lankan agarwood on my electric burner for the first time, I was surprised because it wasn’t what I expected it to be. I thought it would smell somewhat like Indian agarwood, but instead it smelled somewhat like a cross between Brunei Microcarpa and New Guinea Gyrinops. 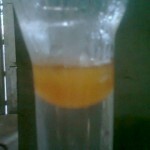 And when the test-batch oil was collected and I smelled it, I was even more amazed. Well, it still sort of smelled like a cross between Bruneian and New Guinea agarwood, but the most delicious notes of vanilla, delicate flowers, and caramelized cream were all amplified. And then some. I am itching with excitement to start working on the first full batch! The first 5 hours’ yield from our new Brunei distillation. 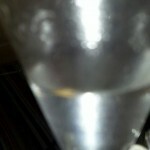 The oil was gushing out like a stream due to the high grade of wood used. And last but not least, lets quickly talk about our latest Brunei oud distillation. As you may already know, Agar Aura had the honor of distilling an oud oil for Sultan Hassan Al-Bolkiah of Brunei. He got one-third of the lot, and we got the remaining two-thirds. But all of it was used in our recently released (and very quickly sold-out!) Ghaliyah Al-Molook. and so none of you got to smell this Brunei oil on its own. 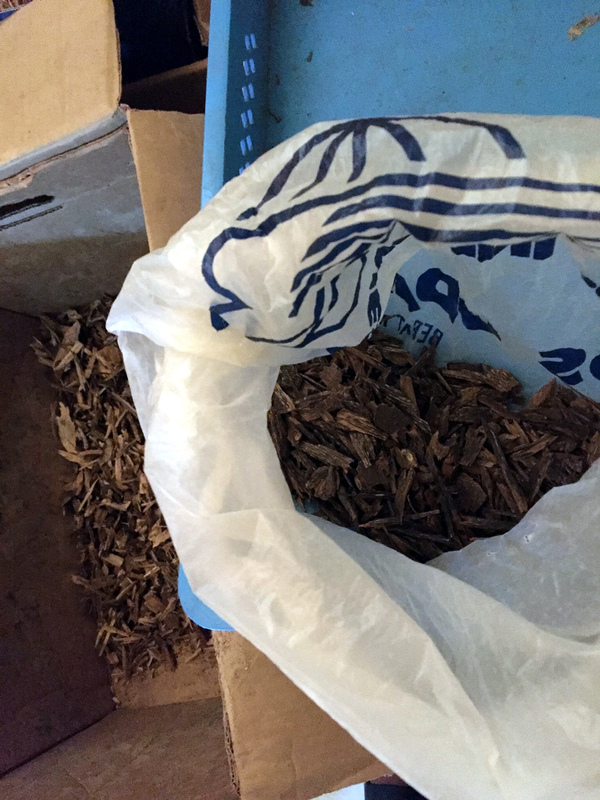 Not wanting to waste any time, we quickly started collecting more raw materials (even higher quality this time). This time, the setup was completely changed, tweaked, and fine-tuned for the finest extraction of the essence of Brunei oud, the queen of Borneo. The result? Ouff, ouff, ouuuffffff…. save your pennies for when this oud is released, that’s all I can say! 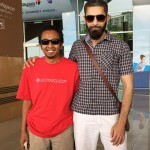 Asnol, our new chief Borneo agarwood hunter. 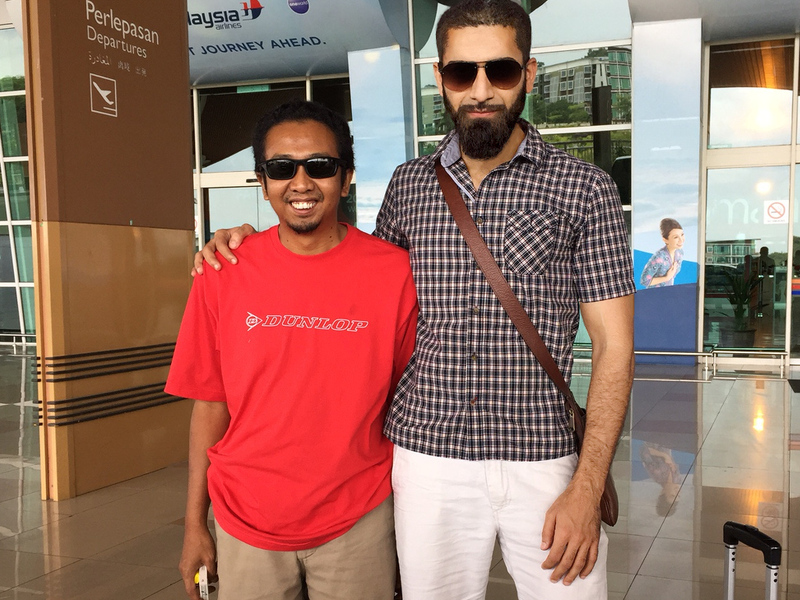 Here we’re (awkwardly) posing in front of the airport just before my departure back to Kuala Lumpur. My son loves his wife; she gave him cookies. There are of course many more projects running and many already completed, like our Burmese sister-distillations: one copper+glass, and one copper+stainless steel. We also have our own dedicated hunters in Borneo now, which makes it easier (and cheaper) for us to get amazingly high grade Borneo raw materials. Microcarpa, Beccariana, and Malaccensis agarwood all at my fingertips. ……aaaand there’s lots more that I’d want to post about (including the upcoming projects right here in Malaysia), but I don’t want to bore you with an excessively long blog post. So what’s the upshot of everything I just posted? 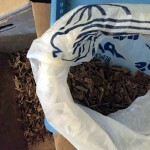 When you carefully select the choicest raw materials, assess them to determine the best extraction technique, and then design specific distillation setups – each one unique to the agarwood of a given geography/species… then the result is oils the likes of which you’ve never smelled before. Due to my over-excitement and over-zealousness, unfortunately (fortunately?) most of the upcoming releases will be on the expensive side, due to the high grade of raw materials used for most of these new projects. I know many of you like to have some affordable ouds as well, for everyday wear. After all, not all of us were born with silver spoons in our mouths. Fear not, we will also be rolling out affordable ouds as well — most of which will in fact be of the same calibre as some of Agar Aura’s prior middle and high end oils. So…… where are these new ouds? Some distillation projects are still running, others will start very soon, and some distillations are complete but the oils are being cured and settled right now. I will start rolling out the ‘new breed’ Agar Aura oils in 2015. Coming soon: more on our upcoming Malaysian distillation projects.